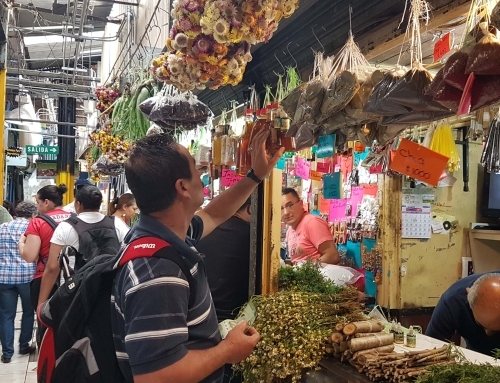 The regions of Spain are home to a vast variety of unique cultures and cuisines from Spanish cuisine is all about making the most of fresh, local produce. 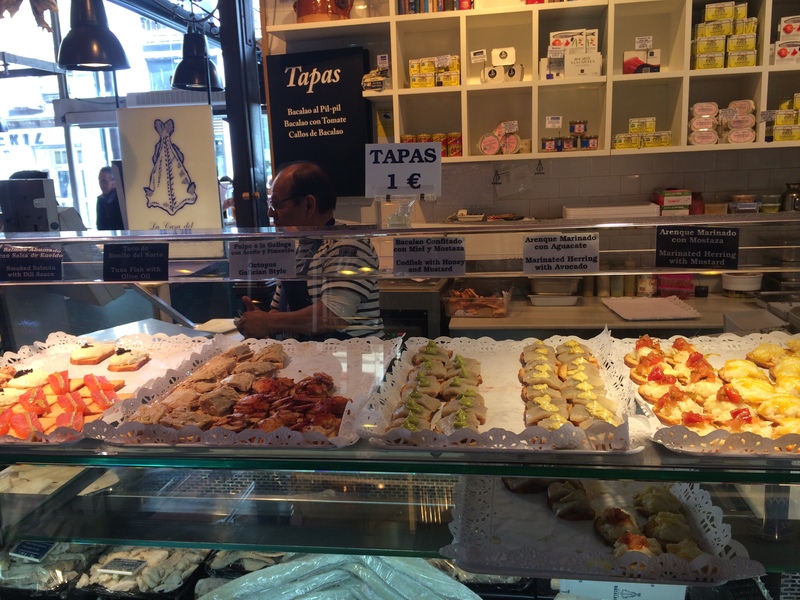 While in Barcelona and Madrid, the two major tourist destinations in Spain, we felt lucky to be exposed to a host of fresh and rich flavors from cured meats of Andalusian cuisine to the fresh seafoods of Basque country. We spend our first three days of travel in Spain in Barcelona, the eastern port city that is home to many of the stunning and distinctive architectural works of Catalonian Antoni Gaudi, such as the world-famous Sagrada Familia. 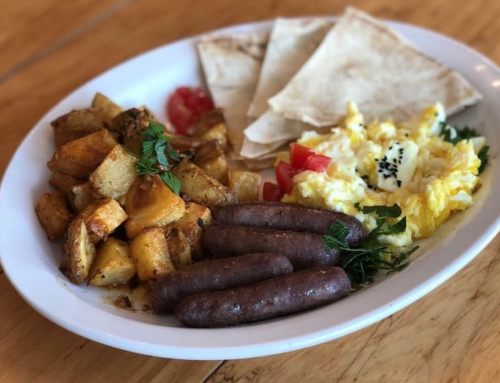 Leones Restaurant is a cute, tavern style restaurant located right across from the Tryp Apollo Hotel where we stayed on Para-lel Avenue. The hotel was a stone’s throw walk from the ocean side as well as La Rambla – a road full of shops and road-side eateries where one can drink large pitchers of Sangria and eat paella while people watching. Hungry from the long flight, we stepped into this restaurant not knowing what to expect. 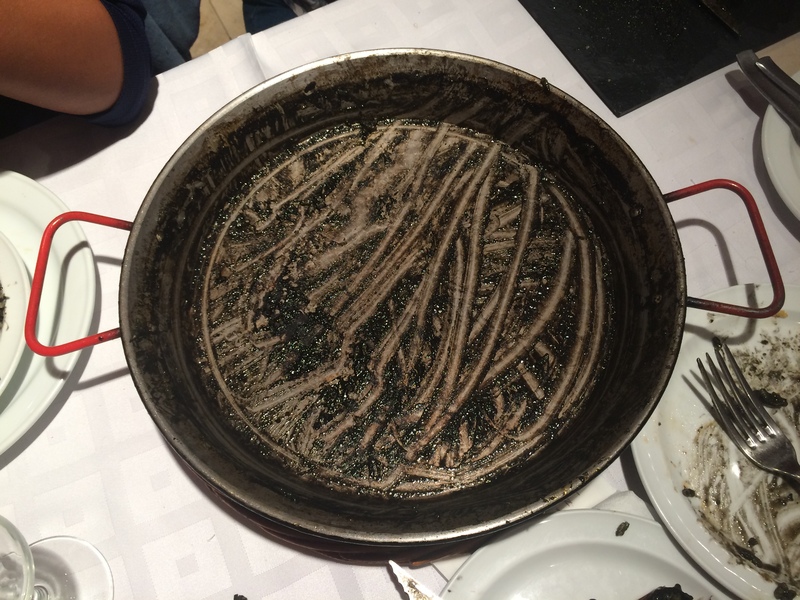 We ordered grilled rabbit legs, pork chops, as well as a massive pan of Arros Negre – a Paella kind of dish consisting of Paella rice, chicken and seafood infused in squid ink – a Catalonian and Valencian specialty. The food was really delicious and we cleaned out the entire pan! 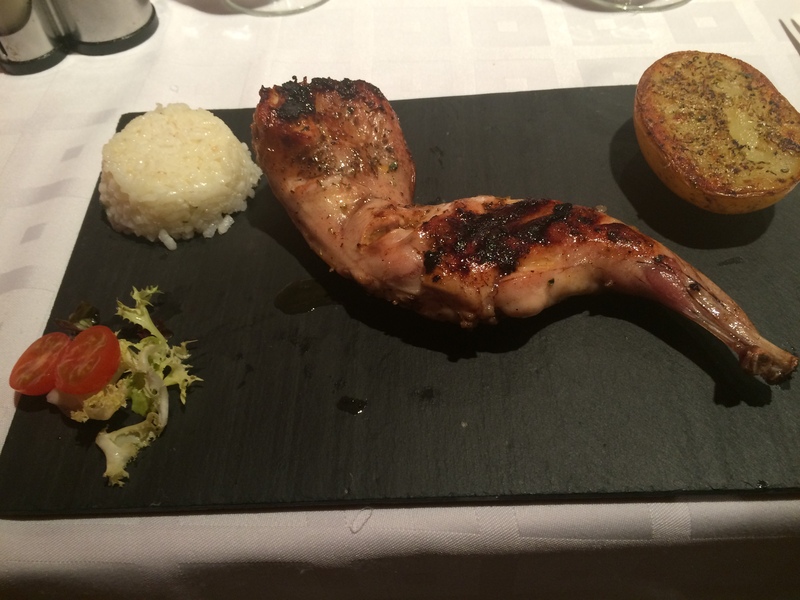 Grilled rabbit at the Leones Restaurant in Barcelona. The meat was tender with a herb-infused crunch to it. 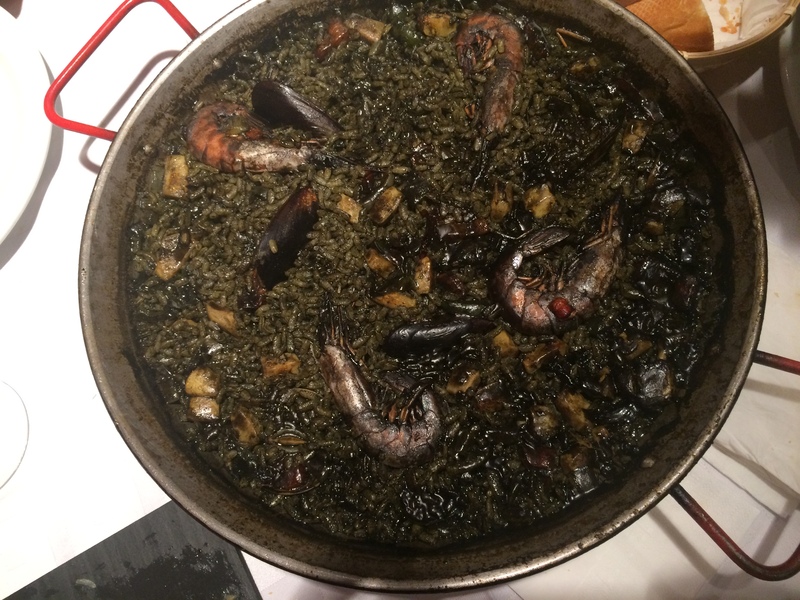 Arros Negre is a Catalan and Valencian dish made traditionally with cuttlefish and rice. It gets its black color from squid ink. We polished off the paella! 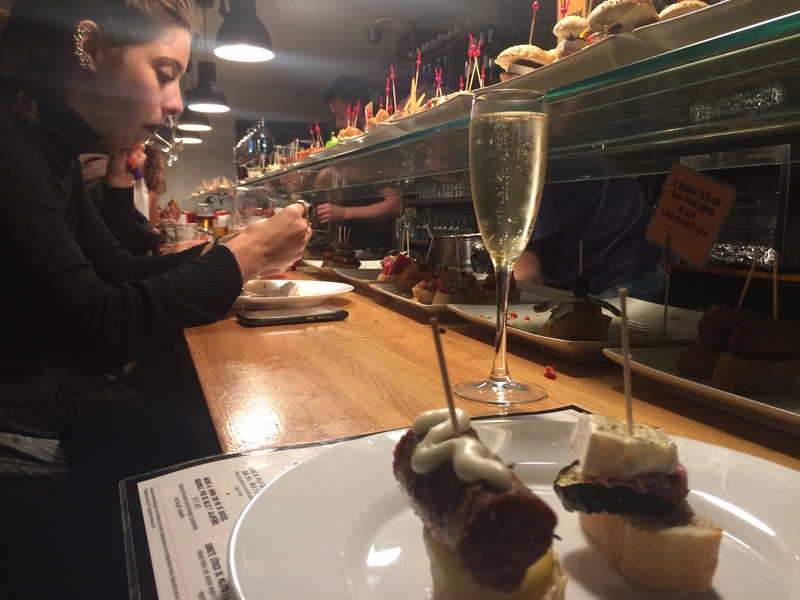 As for nightlife, Barcelona’s is booming but we couldn’t entirely handle the standard Spanish going out hours of around 1 am – 6 am so we settled for a good time at what became our favorite Pinchos bars. These kind of bars are very unique to Basque country and northern Spain, but a small street leading off of Para-lel Avenue had several to choose from. Tasqueta de Blai seemed the most happening and least pretentious with its wonderful selection of Beatles remixes, cozy atmosphere and friendly waiters and bartenders. 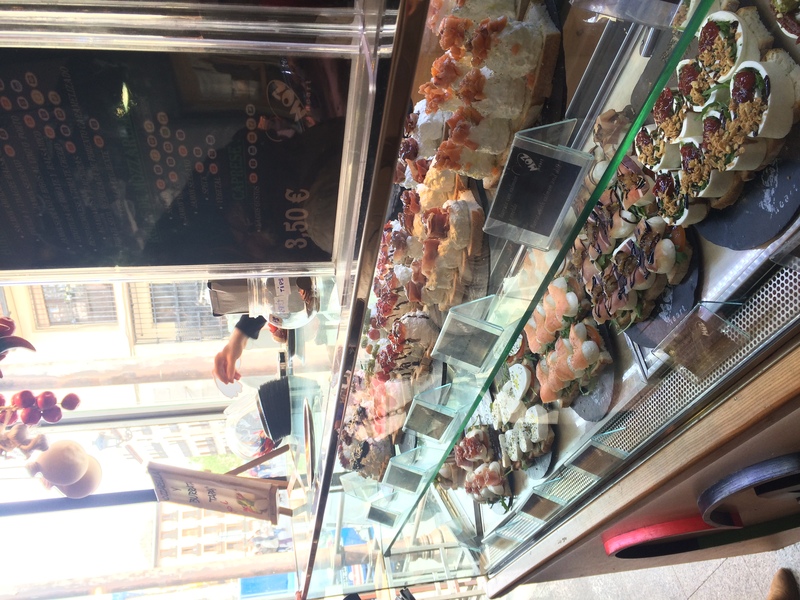 Pinchos bars basically offer a wide selection of pinchos, small snacks (usually sliders with different fillings) that line the counter. One can then select how ever many one wants for usually 1 euro each. We ate about 6 a night for 3 nights along with a lovely glass of white Cava wine to drown them down. 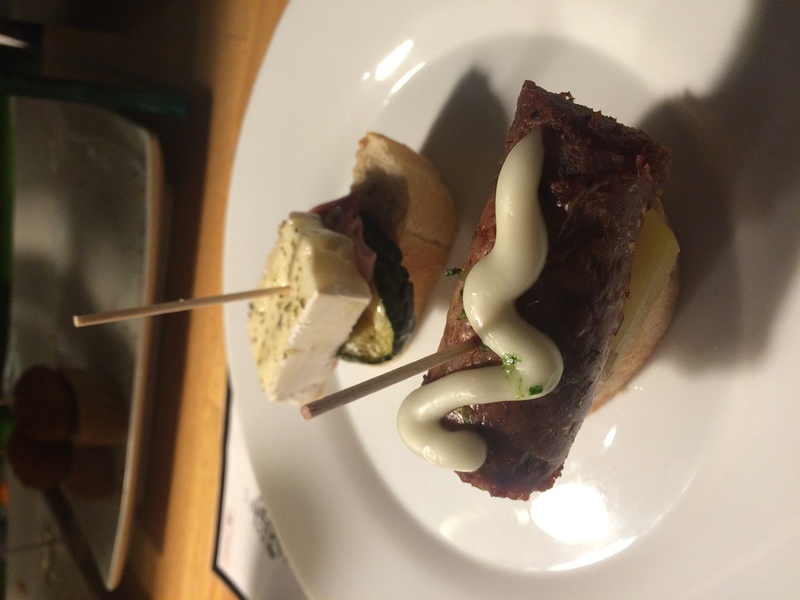 Pinchos bars are popular in northern Spain and especially in Basque country. 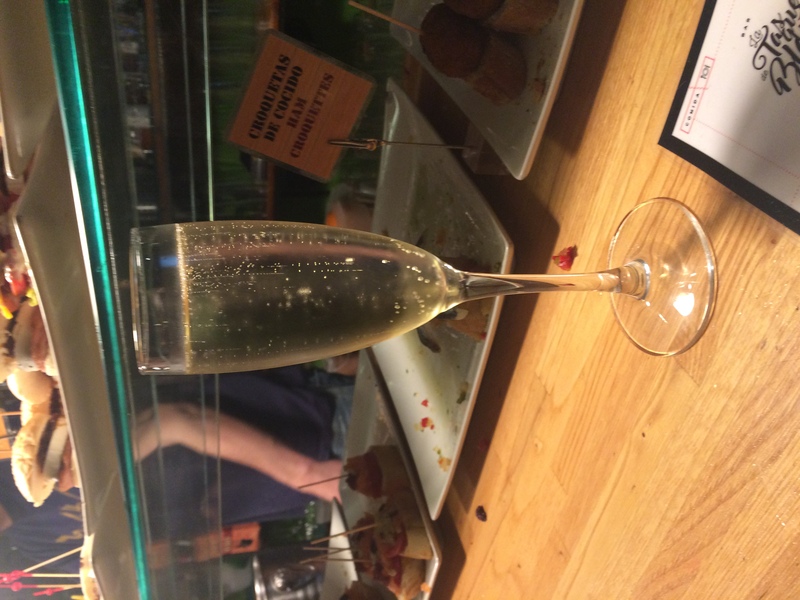 This particular bar Tasqueta de Blai in Barcelona was a gem of a find! Three days later, we arrived in Madrid, the capital city of Spain. It felt much more official and traditionally Spanish as could be seen in the architectural styles. The palaces and town squares were beautiful with their grand, symmetrical and imposing facades. 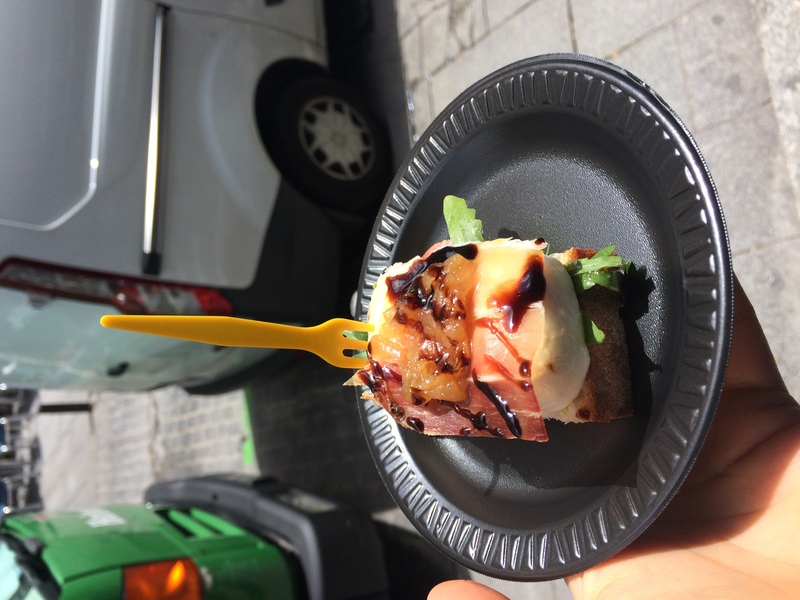 Right next to Plaza Mayor, one of the major squares in Madrid within walking distance from my hotel, is the Mercada de San Miguel – an absolute foodie heaven. 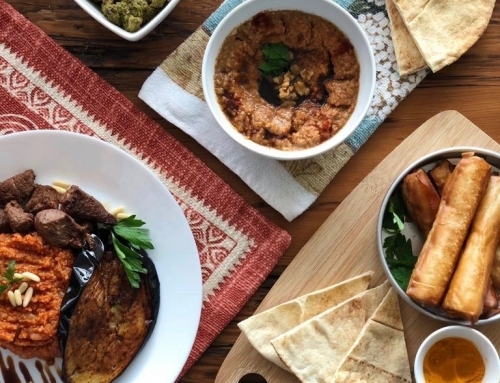 It showcases cuisine from all over the country from pinchos to tapas to small bowls of paella. 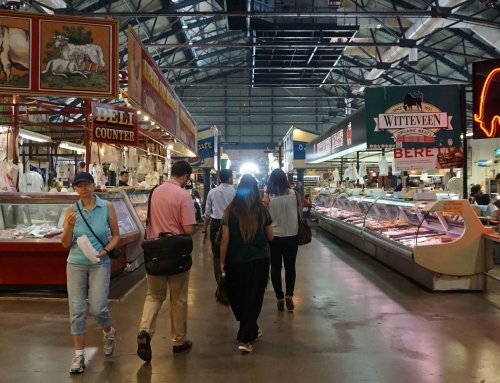 Our favorites were El Pescado fish bar and the Mozzarella and Burrata cheese specialty counters. 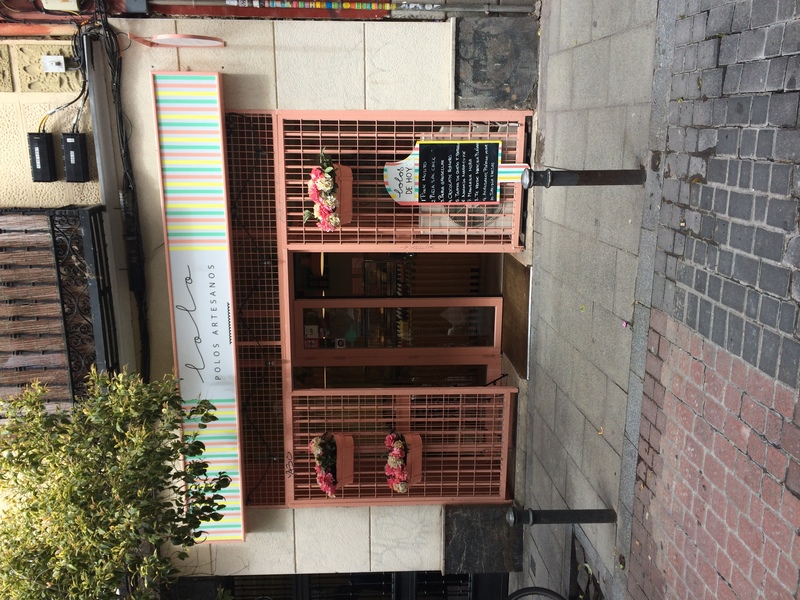 The next stop was the iconic Chocolateria San Gines just a few blocks away right next to Cathedral San Gines. The church was surrounded by a beautiful shaded courtyard. Inside this courtyard, we came across the Chocolateria which happens to be the most authentic spot for churros con chocolat in the city and we could see why. 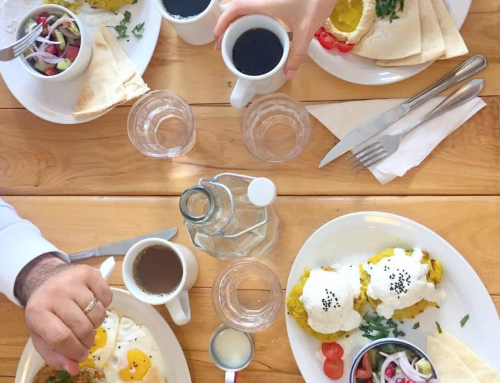 From the moment we stepped in, we were treated with such gracious warmth and hospitality and the waiter kindly informed us of the popular choices. 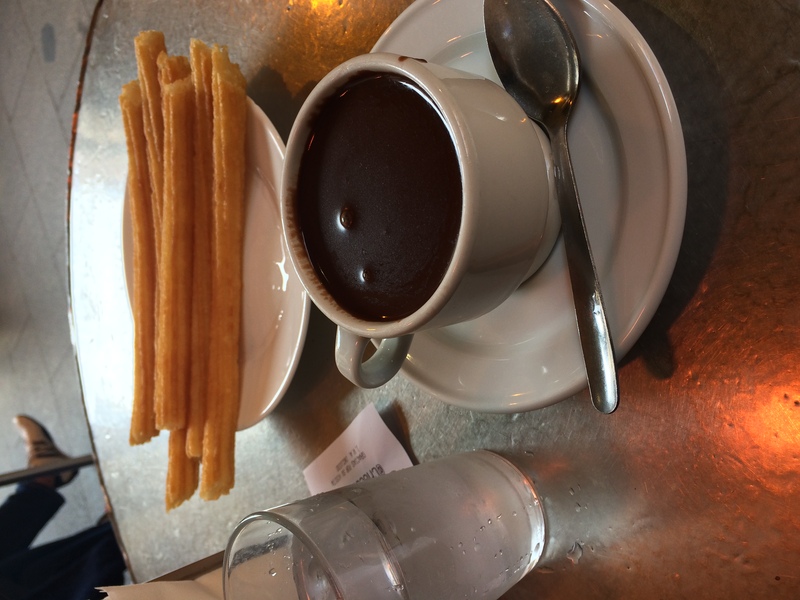 We went for the crowd favorite – chocolat con churros which are 7 fat churros with a cup of the richest, thickest most delicious liquid chocolate in the Spanish way: thick and dark. 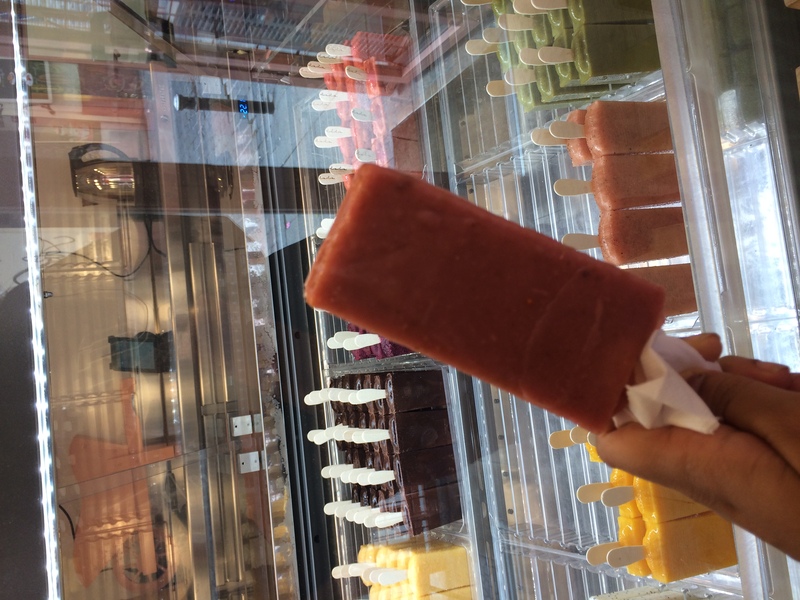 The final stop was Lolos Polos – a popular popsicle stop in the hipster neighborhoods of Madrid.We had a delicious fruit-sicle and continued through this wondrous city steeped in historical grandeur, meeting many friendly local faces and thoroughly enjoying our Spanish adventure.